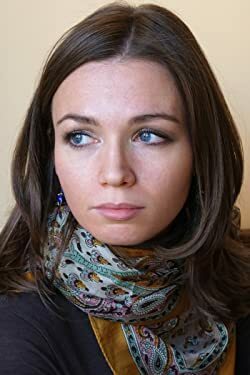 S.A. Chakraborty is a speculative fiction writer from New York City. When not buried in books about Mughal portraiture and Omani history, S. A. enjoys hiking, knitting, and recreating unnecessarily complicated, medieval meals for her family. You can find her online at www.sachakraborty.com or on Twitter (@SChakrabs) where she likes to ramble about history, politics, and Islamic art. CLICK HERE FOR MORE STORIES BY S.A. CHAKRABORTY. 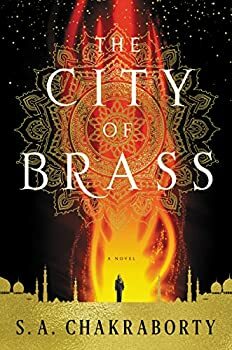 I thoroughly enjoyed S. A. Chakraborty’s first book The City of Brass, which was at its core just a good story. 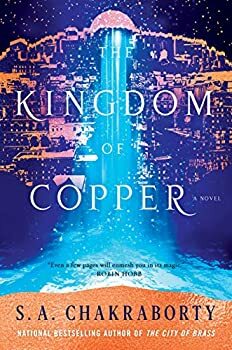 I’m happy to report that the follow-up, The Kingdom of Copper (2019), is even better, continuing the captivating narrative but also deepening its exploration of the more serious themes that were apparent in book one but not fully mined. Fair warning: some unavoidable spoilers for the first book to follow. I’m also going to assume you’ve read The City of Brass and so won’t go into too many explanations of people/settings.